Chelsea, who was used to being shielded from her parents' very public jobs, experienced a huge life change in 1993, when her father was elected the 42nd President of the United States. 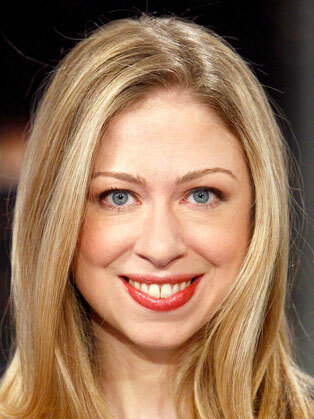 As the pre-teen child of the new First Family, Chelsea experienced intense media scrutiny. As a result of the intense publicity, the Clintons developed an unspoken pact with the press that Chelsea was strictly off limits. In 2003, after graduation from Stanford University, Clinton joined the consulting firm McKinsey & Company in New York City, becoming the youngest person in her class to be hired. After three years with the firm, she joined the hedge fund Avenue Capital Group. In 2011, Clinton joined NBC as a special correspondent. During her tenure with the network she reported a series of stories about "Making a Difference." She left the network in August 2014 to focus on her family and her father's foundation. In addition to serving as vice chairperson for her father's Clinton Foundation, she is also on the board of the School of American Ballet.